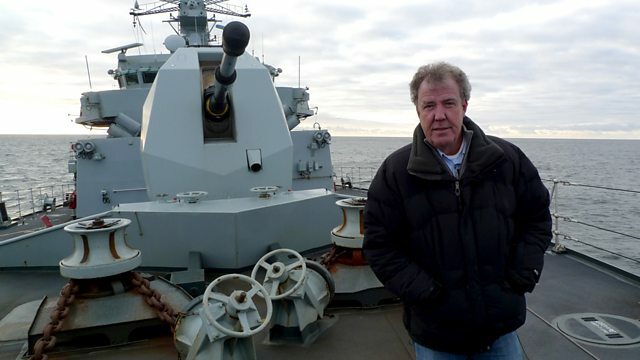 Jeremy Clarkson tells the story of the Arctic convoys of WWII, which delivered vital war supplies to the Soviet Union via the Arctic, and reveals the convoy's greatest disaster. Jeremy Clarkson tells the dramatic story of the Arctic convoys of the Second World War, from Russia to the freezing Arctic Ocean. Between 1941 and 1945, more than 70 convoys delivered 4 million tonnes of material to the USSR, yet one convoy in partiuclar would come to symbolise the dangers faced by the men who served on them. Codenamed PQ17, this convoy of 35 merchant ships would be described by Churchill as one of the most melancholy naval episodes of the war. Retracing the route of PQ17 from the Arctic to the Russian winter port of Archangel, Clarkson reveals how, on the night of July 4th 1942, this joint Anglo-American convoy became one of the biggest naval disasters of the 20th century. To make matters worse, the cause of the disaster lay not in the brutal conditions of the Arctic, or the military might of the Germans, but a misjudgement made in the corridors of the Admiralty in London. Welsh World War II veterans Ivor Beavan, Alan Higgins and James Row share their experiences on board the ships of the Arctic Convoy missions. Your Paintings features thousands of paintings from the UK's national art collection, the stories behind them, and where to see them for real.